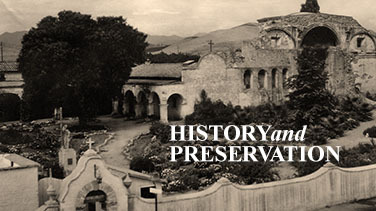 Mission San Juan Capistrano’s Guild, was founded March of 1993. This special group of volunteers assist in the preservation of the historical and cultural heritage of the Mission and promote this landmark for future generations by fundraising and volunteering for special activities at the Mission. 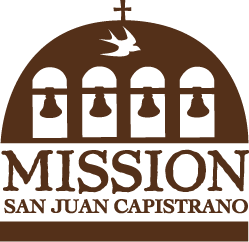 During the past twenty-five years, the Guild has provided countless hours of volunteering on behalf of Mission San Juan Capistrano. The Guild’s crowning achievement was the publication of a beautiful, prize winning cookbook in 2007 (Tabasco National Winner, Community Cookbook Award). The sale of the book through the ensuing years has generated over $300,000 for preservation. Requests for the book (which has been out of print for a few months) have provided an impetus for us to step up our fundraising efforts in order to finance another edition of The Bells are Ringing – A Call to Table, which hopefully will be available by year end. The Guild was founded in March 1993. At present we have 41 members. We meet monthly on the third Wednesday. The Guild engages in various fundraising events September through December and February through June. In March we host our annual Membership Tea in the Soldier’s Barracks on the Mission Grounds. During July and August, members continue their volunteer work at the Mission’s popular Music Under The Stars series of concerts and other events. 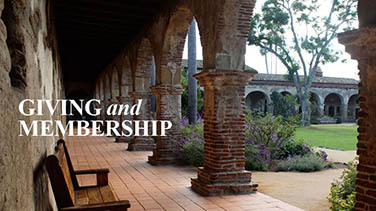 We welcome new members who appreciate Mission San Juan Capistrano as a historically significant site and are willing to work to preserve its beauty for future generations. *All Prospective Volunteers Must complete a Volunteer Application and attend a Volunteer Orientation Session prior to volunteering on the Mission grounds. please contact Pat March, Volunteer Program Administrator at (949) 234-1322 or pmarch@missionsjc.com.